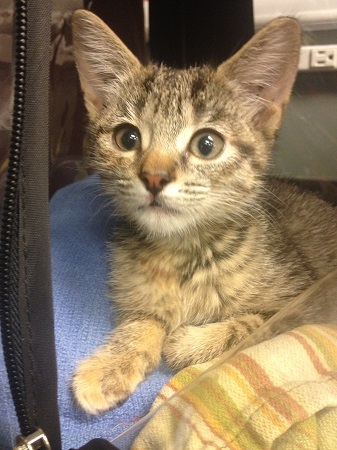 Margot is a sweet and loving 3 month old kitten full of personality! She loves chasing toys and playing with the big dog in her foster home. She loves people of all ages and has proven to be gentle with both a 2-year-old and 4-year-old that have played with her. She is happiest when snuggling up with someone. She is fixed, chipped and vaccinated. Her adoption fee is $135. Since she is living in foster care it’s best to fill out the adoption application so we can schedule a meet and greet.